Data rights issues are complex and require careful examination of the program‘s requirements and overall. Government attorneys and the contracting officer to determine the best strategy. Subject matter experts should be used to review program data rights requirements. Strategy development should involve software and architecture experts, an intellectual property lawyer, a contracting officer and the program manager. It is typically very expensive to acquire broader data rights or to create additional options for software maintenance after the initial contract is in place. Inadequate data rights typically result in substantial additional cost to acquire the required rights or having only one option for software maintenance: sole source procurement to the original developer of the software. Sole sources have little incentive to offer lowest cost. Insufficient data rights prevent the Government from using deliverables in the most optimal way. Data rights will impact maintenance over 30 or more years of a system‘s life. Programs should perform a Business Case Analysis (BCA) as a part of assessing the IP needs to determine whether obtaining the desired rights is the correct business decision. Is this a new or existing procurement? 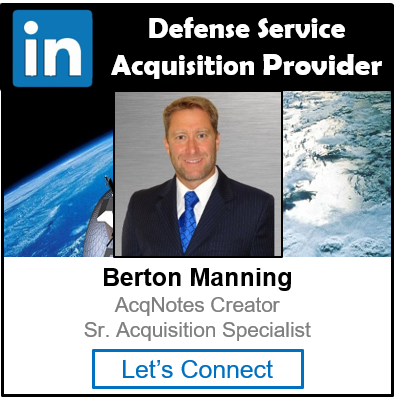 What type of procurement or assistance vehicle is/will be involved (Federal Acquisition Regulations (FAR)/DFARS contract, grant or cooperative agreement). Does the Government already have data rights in existing software or other deliverables that permit the Government to leverage (i.e., modify and/or enhance) that existing software for this new contracting effort (including necessary architecture/design/interface documentation)? What clauses already exist regarding data rights? What are the benefits of broader data rights clauses? For example, will acquiring more than restricted/limited rights impact procurement cost without providing value? Will one of the standard DFARS levels of data rights (unlimited, Government purpose‖ or restricted/limited be acceptable, or do the data rights need to be specifically tailored for this procurement? Does the number of anticipated changes to the software and the required response time for those changes warrant the possible additional cost or fewer bidders on the procurement? Will the Government obtain at least Government Purpose Rights (GPR)? If not, is the asset isolated at the lowest component level? If not, is it non-critical? If not, what is the justification for less than GPR? Has the program identified potential components and artifacts that can be provided to the offerors as Government Furnished Information (GFI)? Does the Government have the right to provide the information to third parties? If not, should the Government negotiate a license for this right? What is the likelihood that the Government will perform the software maintenance (i.e., error corrections and enhancements) organically? What is the likelihood that the software maintenance will be competed and awarded to a third party? Might there be any situations that would require licensing outside the Federal Government (e.g., FMS or commercial)? Does the Government require the rights to modify the deliverables now or in the future (modifications include updates, corrections and enhancements)? Will the Government need special tools to be able to modify the deliverables? Do the components to be acquired fit within an existing, approved Government architecture, or can they be easily modified to fit into an approved architecture? Does the Government have sufficient rights to perform this modification? Does the Government need to maintain configuration control over the deliverables? When performing the DRRA, it is important to address both long-term as well as short-term needs, since software could be in use for 30 or more years. After the DRRA has been conducted, the program office team can determine if the standard data rights clauses provide the rights that the contractor and the Government need to accomplish the stated objectives. If additional rights are required, the contracting officer can enter into negotiations with the contractor to acquire such rights.